Clive Burr, Group Marketing Manager at Kerridge Commercial Systems, navigates the world of software packages available for small independent merchant business. Whether a long established company or start up, there are many benefits that can come from adopting these types of technology. If you own or manage an independent merchant business with less than 20 staff — whether it’s a long established family operation or a start-up — you’ll want to be sure that you’re operating as efficiently and as profitably as possible. Upgrading to an integrated software package that manages sales, stock and financials will make a huge impact on businesses that are working with basic accountancy packages or manual processes, and will enable start-up businesses to hit the ground running. But, with so many software providers vying for your attention, how do you know which to approach? We would advise asking peers and buying groups to recommend providers that have an established reputation within the industry. Find out who listens to their customers and are committed to developing solutions in line with how the market is changing, ensuring you are provided with ever evolving functionality as your business grows. You may not think it worth speaking to the providers of highly sophisticated solutions used by national companies with many hundreds of users, but we would argue that yes, you should! For example, although Kerridge Commercial Systems is best known for supplying its K8 solution to multi-branch businesses, requiring a structured approach to implementation and training when it’s rolled out, we also supply a version of K8 that has been specifically developed to meet the needs and budgets of businesses with less than 20 users. This solution can be set up to manage your business very quickly, with minimal training required. ‘Software as a service’ (SaaS) is the term used to describe the way in which a business rents its software over a period of time from the provider — rather than purchasing a one-off perpetual licence — and this is how we deliver this version of K8. A more substantial initial investment is replaced by affordable monthly or quarterly ‘per user’ costs. You can host the software yourself using an on-premise server or access it over the internet using our highly-secure hosted Cloud solution. The latter option means there’s no need for you to maintain IT infrastructure on your premises — and our team handles all system maintenance remotely. You just concentrate on running your business! We’ve already supplied this solution to retailers, merchants and wholesalers working in the DIY, timber and building product sectors. One wholesaler, who doesn’t stock items on-site, was looking for a system to track and manage deliveries direct from suppliers to his customers. He decided to invest having been impressed with the way the system handled all elements of the supply chain, with high visibility on outstanding transactions. Another key benefit for this customer was the facility to set up operator sales targets and a category driven based commission structure that he was previously carrying out manually and was very time consuming. A merchant customer was using a basic accountancy package to control all aspects of the business. They were experiencing a substantial increase in new trade accounts being opened and so required a system with a more comprehensive customer and product pricing structure. They were impressed with the solution’s ability to create several different customer selling levels, along with the extra functionality to offer their customers specific contract prices. 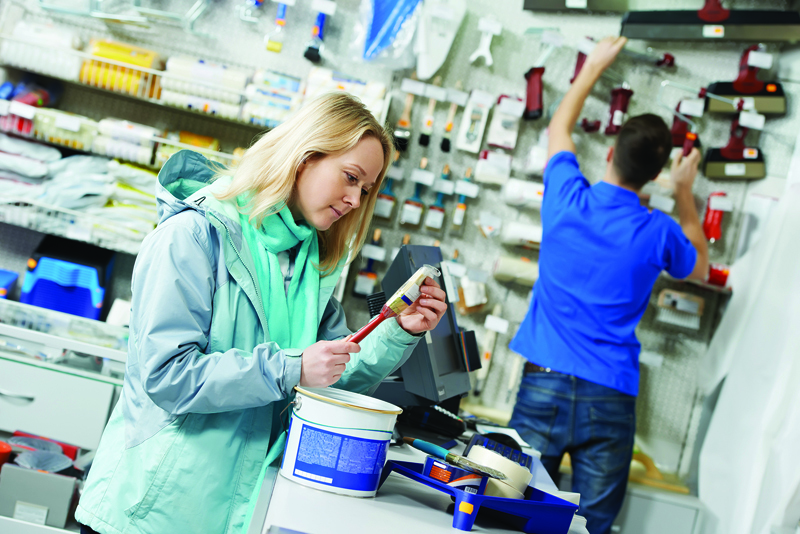 A further example is Reeds Wantage, a painting and decorating merchant that had been looking to upgrade its system for 18 months prior to implementing the solution. Its previous system was lacking functionality in key operational areas namely purchase ordering, supplier returns, promotions and minimum/maximum stock levels. With plans to expand, the company found it delivered all the existing functionality needed as well as offering multi-branch operations that can be deployed quickly and easily in the KCS hosted Cloud solution — including controlling purchase ordering from a head office location and centralised accounting. With many trade account customers taking a delivery/dispatch note daily, the company also liked the option to consolidate these into one invoice at the end of the week. Euan Mead, Buyer and Operations Manager at Reeds, said: “We’re now enjoying increased efficiencies such as integrating order processes with our suppliers and faster, easier price maintenance. Also we now have vastly improved reporting and can drill down into details such as inventory ratio by supplier, and margin by account, supplier, department and customer type. For more information on Kerridge Commercial Systems’ range of services for merchant businesses of all sizes, visit www.kerridgecs.com.